Super Ultimate Ra Dragon has been released in JP and will be released in North America shortly. The delay in release can be advantageous as we have adequate time to prepare for his challenging evolution along with deciding how to team build the spiciest of all the fried chicken. I go into detail examining Ra Dragon as a whole in my previous post and I encourage you to read it in conjunction with this article HERE. As the title implies, this post will be dedicated into discussing how Ra Dragon functions if you do not own two Dark Kalis (or any of her seasonal variations) as well as helping you decide if it is worthwhile to spend 300,000 MP to purchase him. Ra Dragon is a rainbow leader who utilizes all 6 elements to deal up to 144x ATK. Furthermore, God type cards benefit from 2.25x HP / RCV and it is this added bulk that makes him powerful and relevant in an era of heart crosses. If you choose to use a non-God card, that monster will only be benefiting from a lackluster 64x ATK. 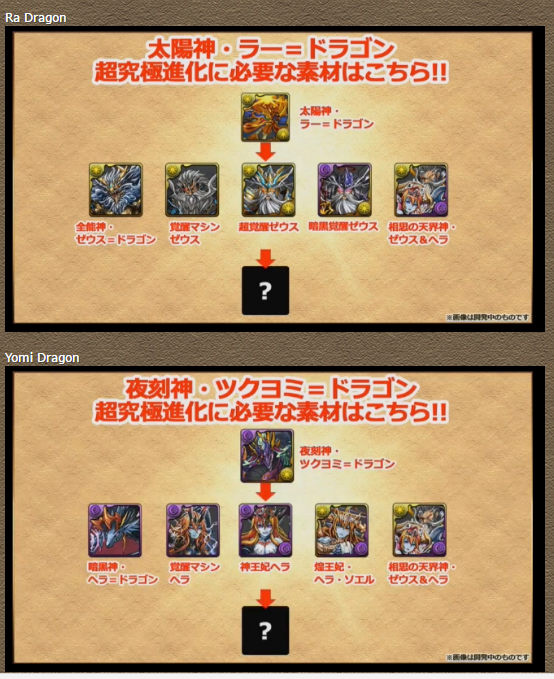 The original 5 Monster Point Dragons were some of the most powerful cards in Puzzle and Dragons at the time of their release. However, Powercreep has not been kind to the majority of them with only Ra Dragon staying relevant in today’s meta as a leader. Thankfully, GungHo has decided to release a new evolutions for all 5 of themi n hopes of resurrecting their viability. Unfortunately for North America, the evolution requirements for these MP Dragons will prove troublesome as the only way to currently acquire the Radar Dragons is to clear Arena 3 or the One Shot Challenges. 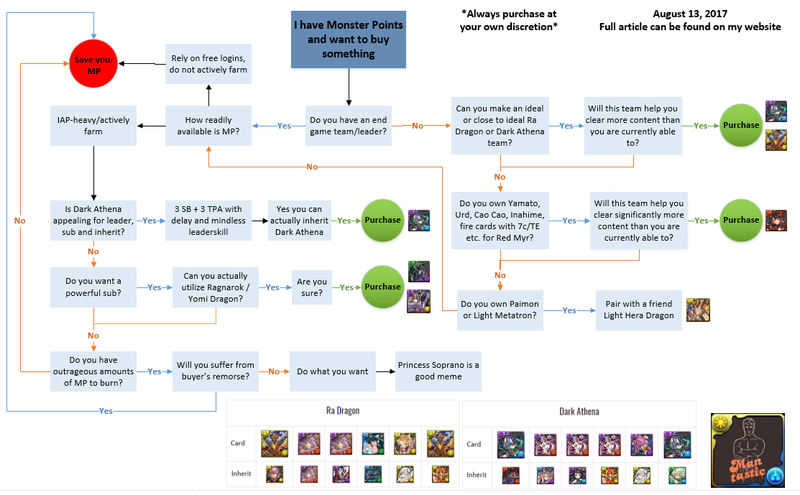 If you are considering the possibility of purchasing Ra Dragon or any other MP card, I strongly encourage you to refer to my MP Card Tier List for further explanation and analysis. Perhaps one of the main benefits of playing in North America is that we are given additional time to prepare for new evolutions as both of these require a large investment of resources. The Super-Ultimate Fried Chicken has now been electrified to even greater heights with his new evolution. Super Ra Dragon has had his leader skill and base stats buffed to allow him to better compete with the heart cross meta.